Two D.C.-area bakers won places for their goods on the shelves of Walmart stores after taking part in the fourth annual U.S. Manufacturing Open Call. WASHINGTON — Two Washington area bakers will get their goods on the shelves at Walmart stores after taking part in Walmart’s fourth annual U.S. Manufacturing Open Call. Hyattsville, Maryland-based DC Sweet Potato Cake — whose cakes and cupcakes are already sold at a number of retailers including Starbucks, Safeway and Wegmans — received a deal to sell its products in 250 Walmart stores. DC Sweet Potato Cake opened as Delectable Cakery in 1998, with its sweet potato cake serving as its most popular item. D.C.-based Cakelove, founded by local baker Warren Brown, received a deal to sell its cake jars in 50 to 100 Walmart stores in the Washington region. Brown opened his first location on U Street in 2002, though that store closed in 2015. His cake jars are carried by dozens of Whole Foods Markets across the country and other retailers, including Yes! Organic Market and Glen’s Garden Market. 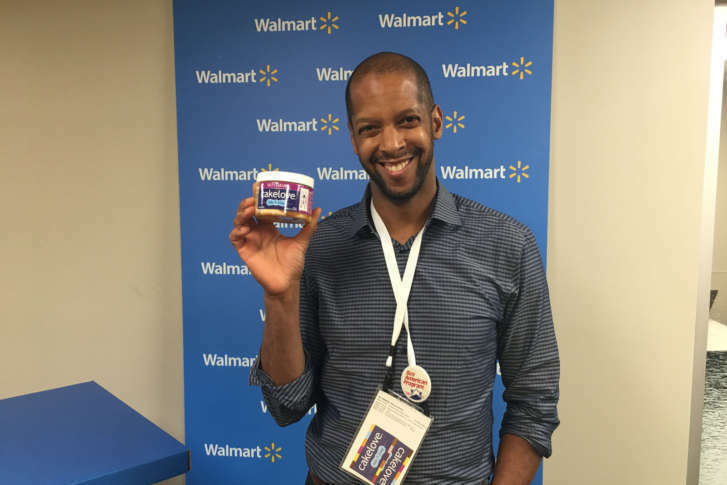 More than 500 entrepreneurs from across the country took part in Walmart’s Open Call this year, pitching everything from food to toys to health and beauty aids. Almost 100 of them received offers from Walmart. Nearly half of the companies at Open Call were diverse-owned, including 25 percent identifying as woman-owned companies.